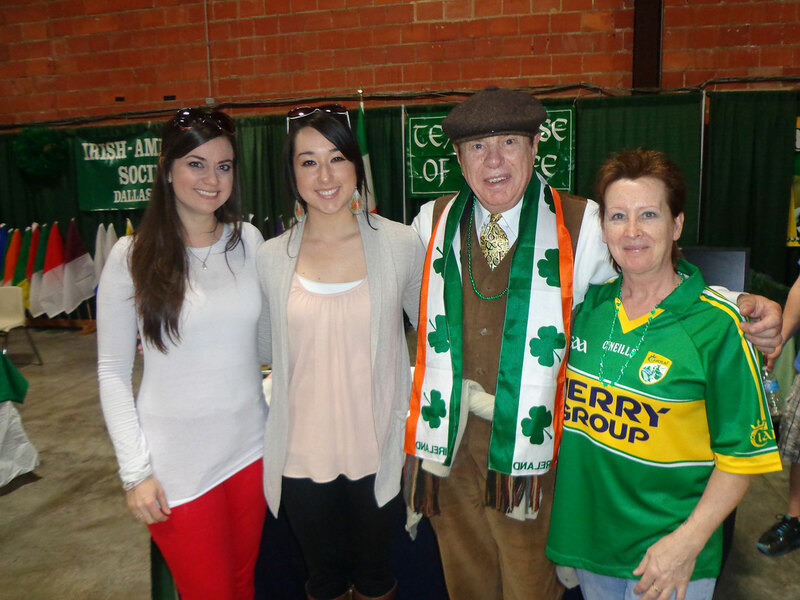 The North Texas Irish Festival had no shortage of IAS members attending and kicking off March celebrations. At the IAS booth, our members encouraged visitors to participate not only in our raffle, but to see what IAS has to offer. 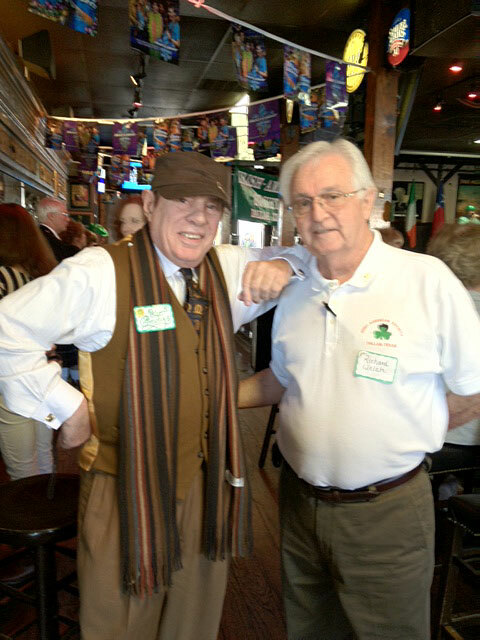 As a result, eight new members joined, with some deciding to start participating with our next pub night and the St. Patrick’s Day parade. When you see the following people, please give them a big Irish welcome. Christopher Mitchell, Walter Milligan, Dan Keough, Melissa McMahan, Patrick and Janet Steerberg, Jeremy and Trinity Huffman, David McElfatrick and Shannon Greenway. 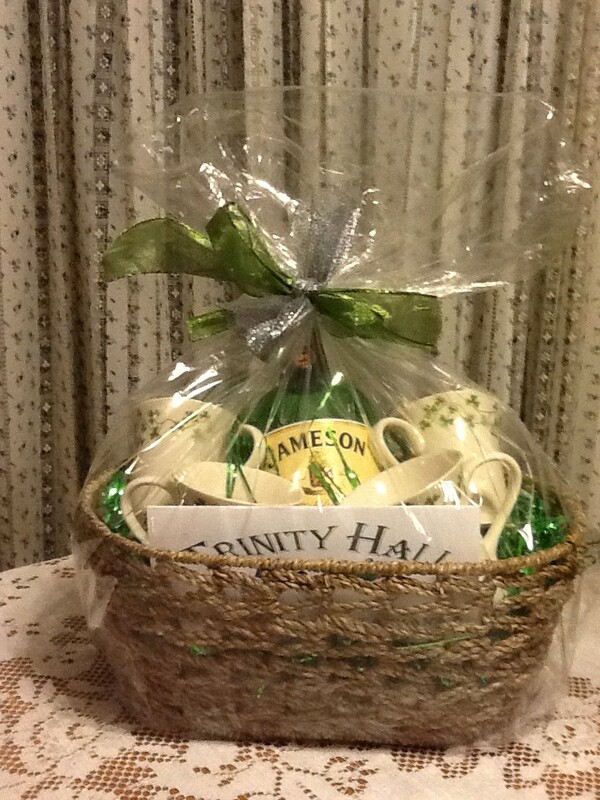 Our raffle featured three very nice baskets, which included gift cards from Trinity Hall, various bottles of spirits, a Waterford holy water font, china Irish shamrock mugs, KC Sunday buffet for two, and much more. 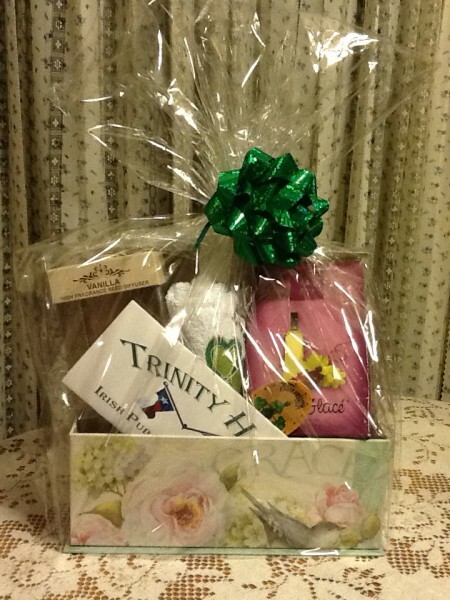 Raffle winners were: Gina Curbo; Jim Gause and Iryna Simoneau. 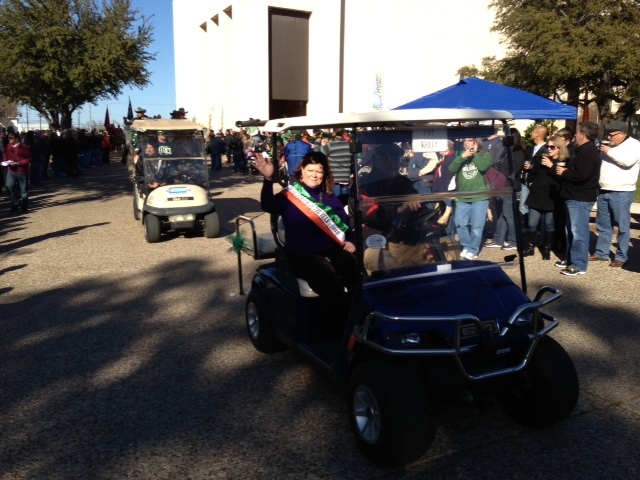 Saturday’s events included a parade, which included our IPOY, Cynthia McDonald and her husband, Tim. The Texas Rose was represented by Leslie McDonough, with her sister Valerie. 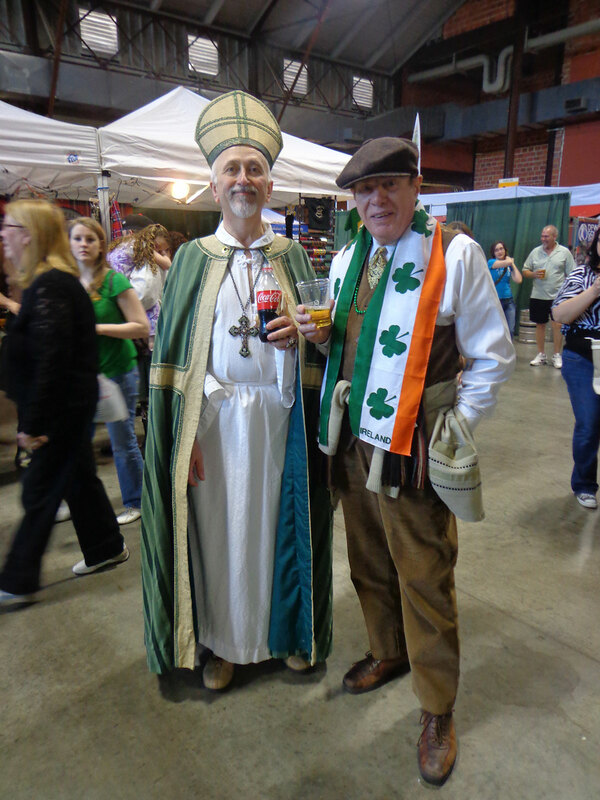 As far as we can tell, the IAS member coming the furthest to join in these festivities was Patty Gallia, traveling from Ontario Canada. 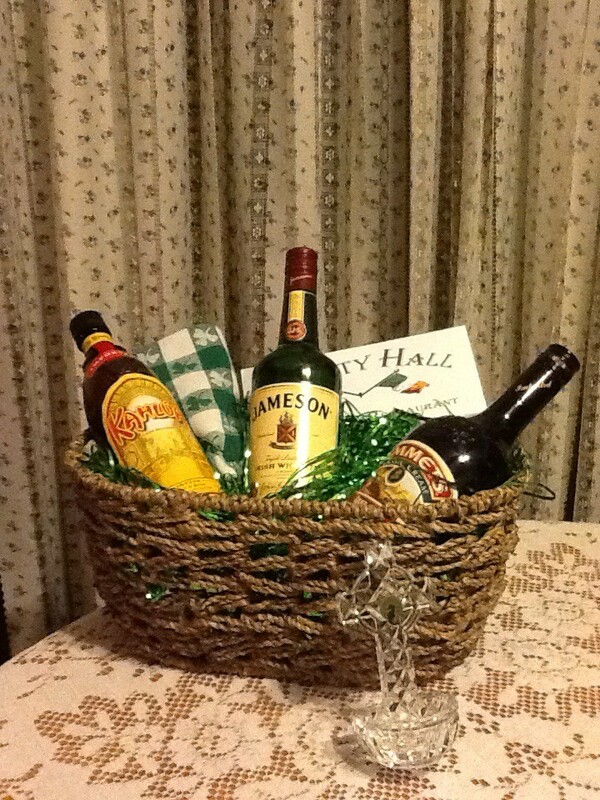 Finally, a special thank you to all the volunteers who spent time decorating, working, and tearing down the booth, donating items for the baskets and purchasing tickets. Without that participation, we wouldn’t have a booth. 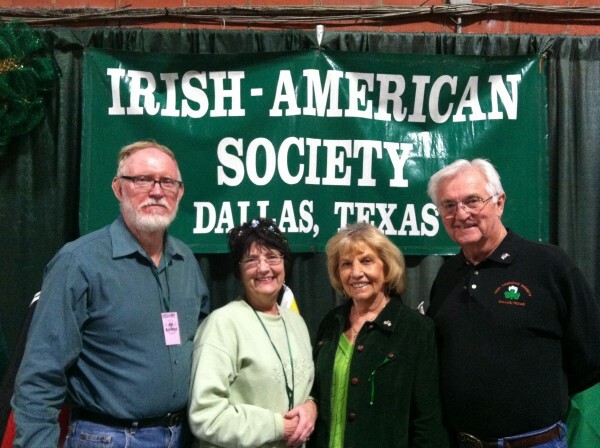 This entry was posted in Events, News & Announcements, North Texas Irish Festival. Bookmark the permalink.